Ircam Lab, one of our leading French Developers is holding a World Cup Celebration Promo on both their products, The Snail and TS. Until the end of August you will save 50% off the list price. 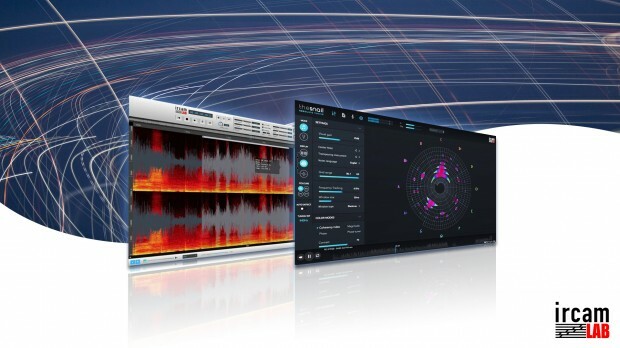 IRCAM Lab “TS” stands for “Transpose/Stretching” and is a powerful stand alone software application that revolutionizes the way audio signals can be processed. Unlike other time stretching applications, “TS” uses an advanced phase vocoder engine (SuperVP) as well as the analysis/synthesis functionalities of “AudioSculpt”, providing high-quality sound processing in real-time. This technology offers amazing results even when used to transpose or stretch audio waveforms radically. It is able to transpose and/or pitch a WAV or AIFF audio file with extremely accurate results and minimal artifacts making it possible to process professional recordings with transparent results. A life saver for audio engineers and broadcast technicians! The Snail offers a new way of tuning and analyzing an instrument in an extremely accurate way, displaying intonation and visualizing music and sounds in a way that can help anyone improve their listening and intonation! It will help you to be in perfect tune and will show you with complete accuracy if the intonation of your instrument is as good as you thought. It is being repriced as there are new exciting products coming from Ircam Lab that will complement the Snail. This entry was posted in Audio Software, DontCrack, Plug-ins, Promotions and tagged AudioSculpt, intonation, Ircam Lab, Ircam Labs TS, The Snail, Transpose/Stretching, TS, Tuner. Bookmark the permalink.